Trip is the epitome of Boulder’s N Fusion’s breeding program. 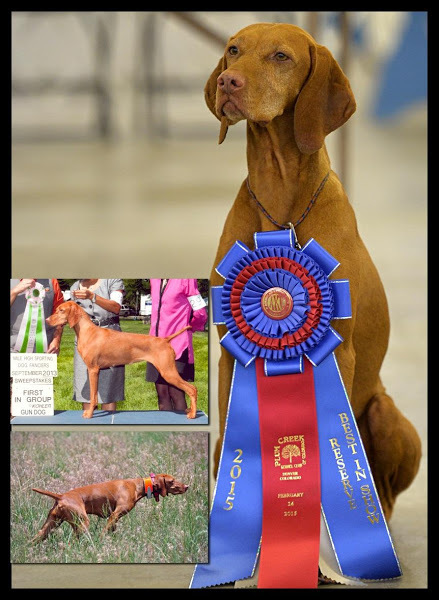 As our first homebred Dual Champion she represents the dual-qualities we strive to produce -- structurally sound and a solid representation of breed standard. Her natural ability and adjustable hunting range makes handling by foot and horseback a pleasure. 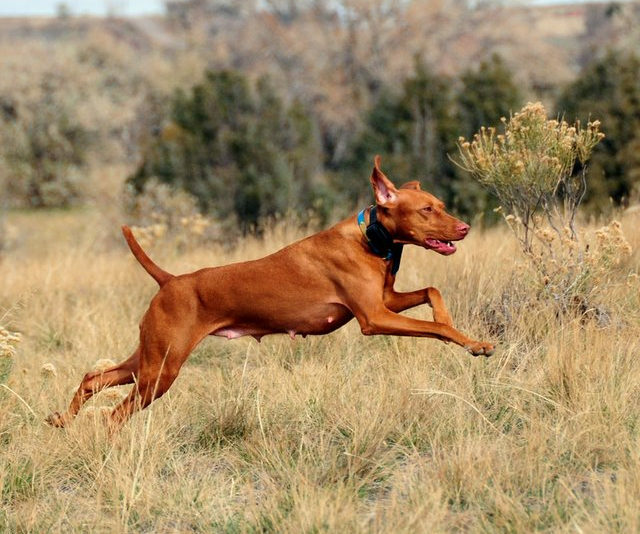 Her temperament is pure sweetness with just enough softness and biddability to allow training to be almost too easy. 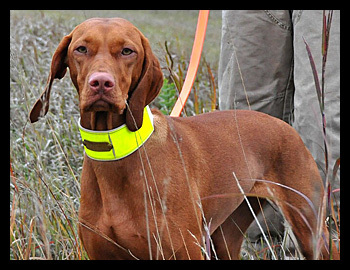 She is the very definition of “an honest bird dog”. 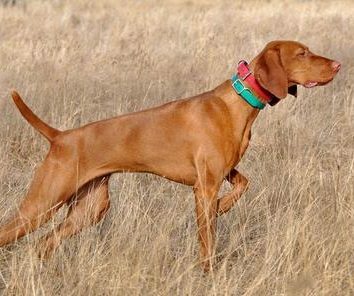 More than just a pretty face with a fantastic temperament, Trip took to the field early on showing the desire to hunt at the perfect gun dog range, strong pointing instincts, and a very good nose. With limited showing Trip finished her CH out of the BBE class with 3 major wins. She took her first major by going WB/Best Bred-By at a Specialty Show and her third major by going BOS (over specials). In the field, Trip’s training came along easily. “Green broke”, Trip essentially steadied herself and won an Open Derby stake (all breed/2 points) in just the second field trial she ever competed in. Following this win, she went right into hunt testing finishing her MH in just 6 tests, whelping a litter of pups in between! Prior to her first litter she had collected all but a single for her Grand Champion title (limited showing). Her first time back in the ring she went BOB back-to-back . With *VERY limited* showings Trip collected her Field Championship points and half of her Amateur Field Championship points. 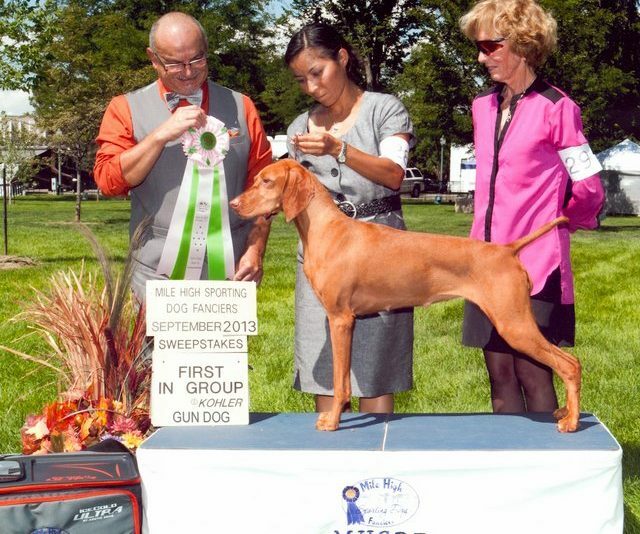 In January of 2013, almost 4 months from the whelp of her second litter, Trip won two majors in one weekend to finish her Field Championship title. She's truly a "do it yourself" Dual Champion--exclusively breeder/owner trained and handled to all titles. Trip picked up her titles quickly but most impressive were her Field Championship, Reserve Best In Show and Best In Specialty Show wins. She took all but 2 of her FC points on grounds she'd never set foot on before and under judges who had never seen her before. 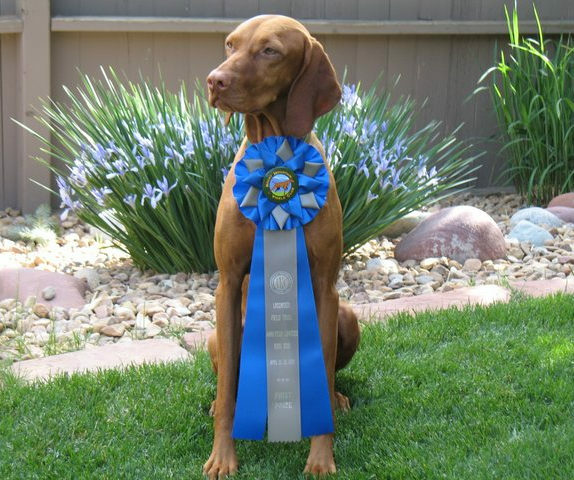 Her BISS was won from the Veteran’s class under a breeder judge who was completely unfamiliar with Trip (Trip was never specialed, only shown sparingly toward her GCH and to support local and national clubs’ Specialties). She defeated 1858 dogs to win her RBIS (which was awarded the same day as her BISS). She achieved her Registry of Merit title by her first litter of 6. From this litter her son, NGDC DC AFC Boulder’s N Fusion’s Heart of a Stallion JH CGC, at the age of two years, took 2nd place in the VCA’s NGDC then went on to win it the next year at the age of three.